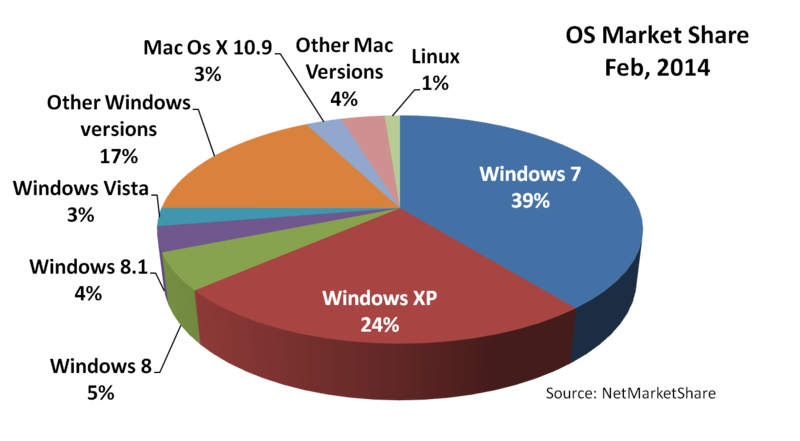 The 27.69 percent-ers: Surviving with Windows XP? Last week, I shared a graphic on the current market share for desktop operating system. Unfortunately, while the data I fed was accurate, the percentages listed on the chart were not accurate. My apologies. This discrepancy did not affect the versions of Mac OS X more than a percentage point (the subject of my posting), but it did skew the percentages of Windows versions. Windows XP was listed at 24% and should have been 29 and a half percent. 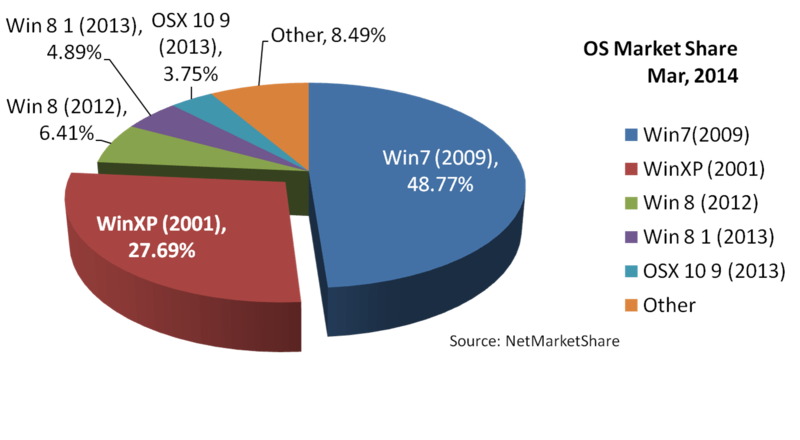 Windows 7 should have been over 47% but ended up at 39%. For the chart below, I updated last week’s worldwide usage chart to show March’s figures and the date of each OS release. Errors or not, these figures do show there are still a lot of Windows XP users out there and Microsoft is ending support for the operating system in just a few days. It’s almost as if most of the townspeople of Windows XP has been evacuated to safer ground and nearly 3 out of ten folks have decided to stay in town.. Cost – While computer built in the last five years do well upgrading to Windows 7 or 8/8.1, computer sold in the first eight years are probably lacking in processor capability (single core), memory (one GB or less) or are simply too worn out to do an upgrade. That means buying a new computer. Though you can get a new and more advanced desktop system for same price the old one cost, it’s still an expense above and beyond others. Dedicated Equipment – Some XP owners hang on to the OS because it is necessary to run older equipment that isn’t supported under a new OS. I have seen this in film recorders, plotters, or old printers. The reason is that the manufacturers of these devices either no longer exist to provide device drivers or they have chosen not do so. 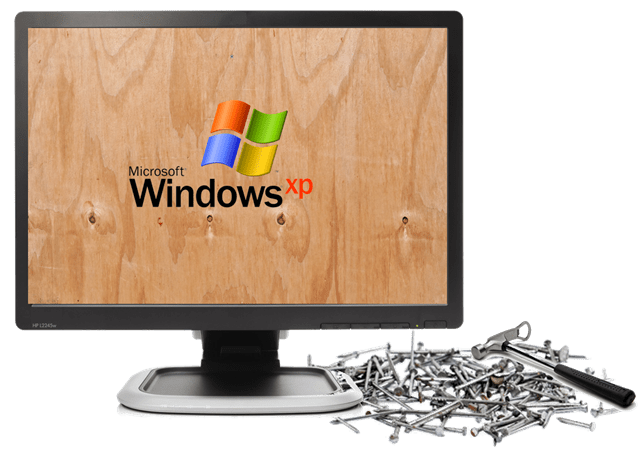 While Windows provides numerous ways through its Compatibility Mode or virtual machines to simulate a Windows XP environment for old software, a lack of available drivers can prevent an upgrade. 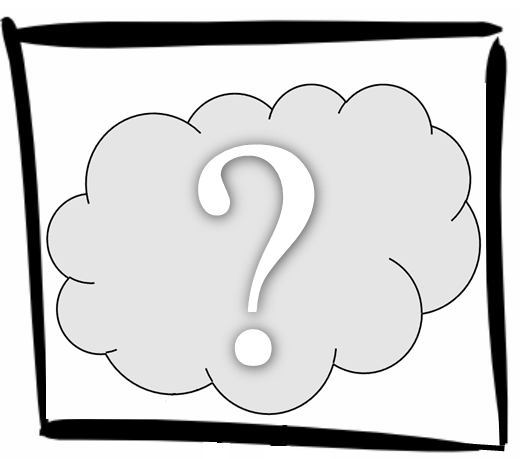 Fear and Uncertainty – The consequence of having an operating system around for 13 years is that people become unaccustomed to change in the face of all the other changes around them. For many consumers, Windows XP was the first operating system on their first computer. In that scenario, leap-frogging from XP over four versions to a different looking Windows 8.1 is terrifying. For businesses who spent thousands of dollars on the creation of internal business application around Internet Explorer 6 (Windows XP’s default web browser), the uncertainty and cost around retooling keeps the OS in business. On April 8th, those folks staying in town with Windows XP will be tested along with users of Microsoft Office 2003 when Microsoft officially stops supporting these products. What can they do? I talked a bit about this in February and have a few more insights today that might help the 27.69 percent-ers buy some additional time or at least put some plywood up for additional protection. People who have Microsoft Security Essentials installed will still get anti-malware signature updates through July of next year. The Malicious Software Removal Tool will still download via Windows Update through July of next year. Downloads of the Microsoft Security Essentials program itself. While upgrading to a new version of Windows and purchasing a new system are still the best options, there are still individual things that can be done to reduce risk. 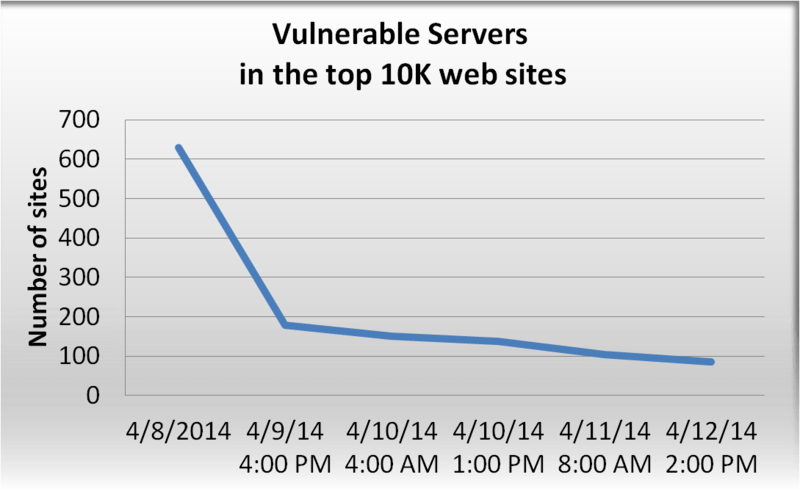 While has been speculation about zero day exploits happening after April 8th. Don’t access the Internet. Either unplug your network cable or turn off your computer’s wireless connection. If you must be online, don’t stay online more than necessary. Internet Explorer versions 6,7, and 8 for Windows XP will not be updated. You should download Google Chrome, Mozilla Firefox or Opera as they will at least be providing browser support on Windows XP for the next year. Avoid using the system for email. Email is a common entry point for phishing attacks. 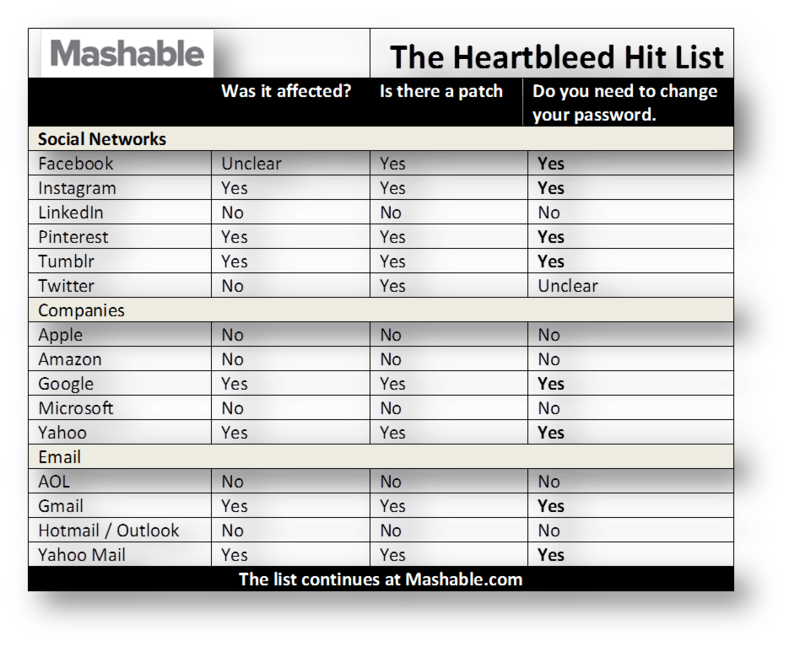 While some people argue that web-based email is safer, systems still get infected my clicking on content in webmail. Remove Java, if installed. Java has traditionally been an entry point for malware on Windows. Keep programs like Adobe Flash and Microsoft Office up-to-date so they don’t become an entry point as well. Avoid using removable drives. USB-base hard drives or flash drives are another common entry point for malware. If this appears to be onerous or too-restrictive, you probably should look again at upgrading or a new computer purchase. 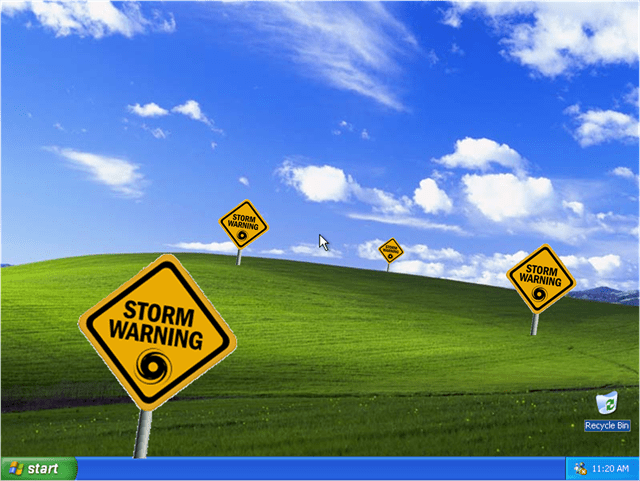 It takes more work to stay safe in a tough neighborhood and the town of Windows XP is now in a real-tough neighborhood. At Sunday’s Computer Q&A at the Commons, one of the participants shared her experience at a local Apple store while buying a new Mac. Multiple employees assured her that she didn’t need any anti-virus software. I was shocked that they told her the only reason they needed malware protection was if the system would also be booting Windows. Yes, Macs can “dual-boot” between Apple’s OS X and Microsoft Windows if set up to do so. If you do that you should definitely add an anti-virus to your Windows installation if one is not already available. However minimizing the risk of malware inflection on OS X itself is a kind of response I would have expected a few years ago, not in a contemporary Apple Store. Ironically, the first virus I ever personally encountered was a Mac virus called WDEF in 1990. I was managing tech support for a small company making both Mac and PC software. Like most viruses of that period, WDEF’s primary goal was to simply keep replicating itself, hitching a ride on any available floppy disk to go to from Mac to Mac. While WDEF did cause some specific Mac II models to crash, that was due more to bugs in the virus than any malicious intent. WDEF first made its appearance in 1989 amongst colleges and universities. It was accidentally shared through some disk-based computer magazines and some commercial software, including a version of Microsoft Excel for the Mac, released in 1990. It made its way to our door through Grammatik, one of the first grammar-checking programs available for either the PC or the Mac. 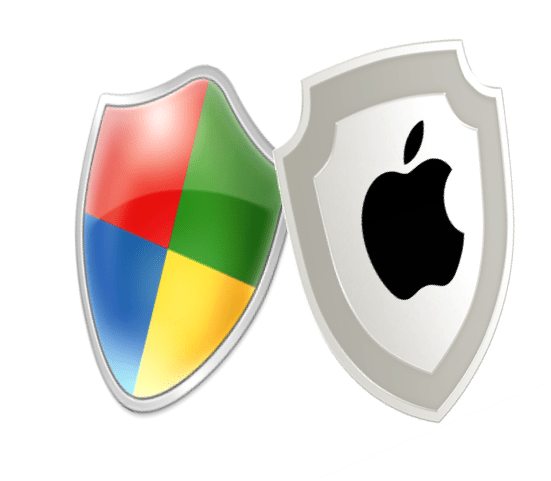 It was also easy to remove, thanks to one of the first commercial anti-virus programs available, Symantec AntiVirus for the Macintosh or SAM as it was more commonly known. This was about the time that Peter Norton’s company merged with Symantec but a good five years before Norton launched Norton Anti-Virus for Windows 95. So Why Do People Think Macs are Immune to Viruses? 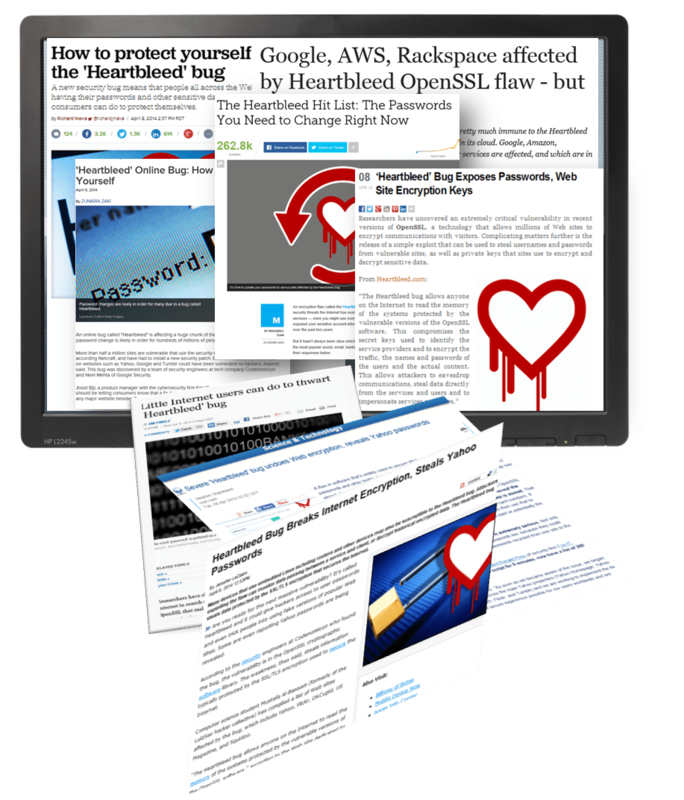 A flaw is a general term, but if we narrow the definition to a vulnerability that can be exploited by malware, there are some good reasons why people might think this. Because of business customer needs, Microsoft has created a predictable and quite public monthly update time knows as Patch Tuesday to provide updates and security patches. This and regular press coverage of these security updates can give the impression of Windows as an extraordinarily flawed system. Apple’s update and security patches are less predictable or publicized. Apple’s only security update this year was at the end of February. It lists 19 security fixes and one additional update for its Safari web browsers version to fix in recent versions of OS X. Microsoft’s total security updates this year for all Windows versions and Internet Explorer was two for January, seven in February, and four released in March, a total of 13. Yes, OS X does not have the same technical “attack vectors” (as security experts call them) that Windows has. However, there are many similarities in how malware can infect Mac and Windows systems. Third-party components like Oracle’s Java or Adobe Flash have been a popular vehicle for Mac malware. Mac are the only OS with this problem. Most of Windows 8.1 security updates have been to fix problems with Flash. Social engineering is a prime cause of inflection on both the Windows and Mac systems. Anti-virus software not only monitors system vulnerabilities but protects users who may be deceived into installing something unknowingly harmful. 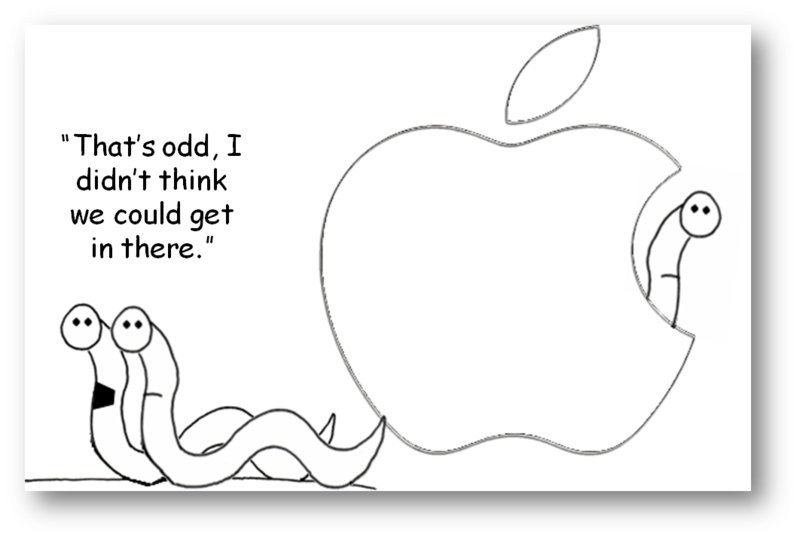 Some people have argued that adding an anti-virus to a Mac will lead to a false sense of security. Telling people that Macs don’t get viruses could have the same result without any protection. It is true that OS X Mac users make up only about 7.5 to 15 percent of the computer market, depending on who is counting (examples, NetMarketShare, StatCounter). While Windows has a bigger bull’s eye for malware developers and distributers to hit, it doesn’t mean that Mac users are more secure. Last year at their Worldwide Developers Conference, Apple announced its Mac install base had grown to 72 million machines. Though still a low percentage of system overall, if a majority of that installed base is not using anti-virus protection, it sounds like fertile ground for an attack. So what can you do to protect your Mac? 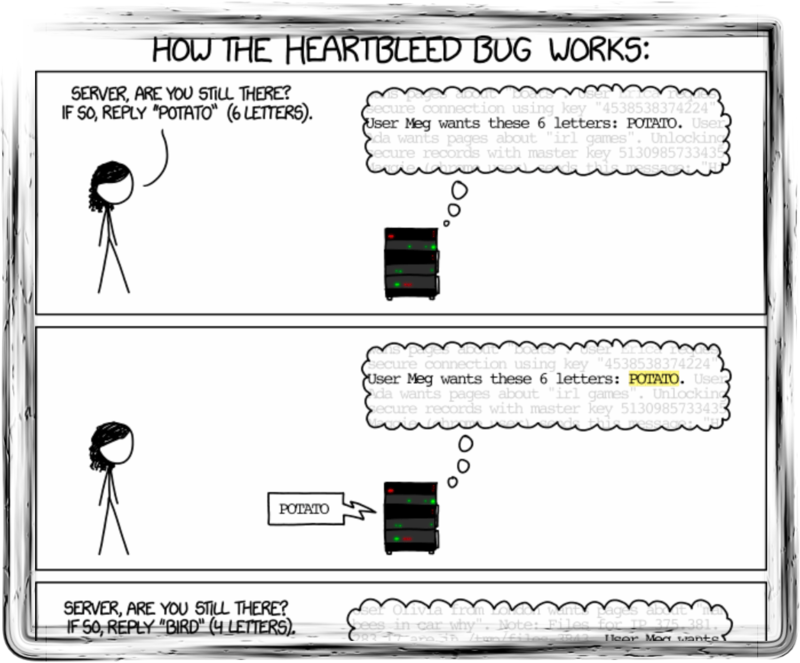 Start with a greater awareness of how your system can be attacked from a technical and social standpoint. Update OS X promptly. Any system vulnerabilities for which Apple has released fixes need to patched as soon as possible. Otherwise Apple’s security update notices simply become a menu for how the bad guys can attack your system. If you are still running an earlier version of OS X, consider upgrading to Maverick as it will protect you better than previous OS version. Update or Eliminate third-party apps and plug-ins. Old versions of Java and Flash provide plenty of opportunities for malware infection. If you need them for programs you run or websites you visit, update them. If you don’t, remove them.In addition, unpatched applications like Microsoft Word 2008 can be susceptible to “boobytrapped” documents. Documents of this type were circulated amid allegations of abuse in Tibet, Syria and East Turkestan in the last year. Be mindful of what you install or consent to. With human factors a major input point for Mac malware, you need to be smart about your actions.Think twice about opening email attachments, especially if the sender is unknown to you or is something a known sender would not normally do. Know what you are actually clicking on in an email message or unusual web link. Avoid peer-to-peer networking connections like “torrents” as they can often contain malware. Add an anti-virus monitor. As in Windows installations, these are free tools like Sophos’ Antivirus for Mac or avast! Free Antivirus or paid versions like ESET Cyber Security or Kaspersky Internet Security. An added benefit of many of these tools is the ability to detect Windows –based malware and avoid passing them on to others. Those of you who have heard me speak before on security know this is the same advice I share with Windows PC users. Since Windows and Mac users live in the same world, it makes sense to take the same precautions. Even if statistically, Mac users are less likely to be infected, the distinction fades pretty quickly the moment you become that statistic. Protect yourself from that moment. “Good. Make sure you click outside the highlighted selection before you type again. I love mysteries. Whether it’s technical troubleshooting or a TV murder to solve, I enjoy the process of un-wrapping the situation and working back from an event to find the cause, and, hopefully, a solution. My Dad’s mystery was actually one we have been through a few times before, though he usually didn’t remember the detail. It also helped that I had experienced the same situation and had the benefit of seeing the “flash” I mentioned. Lastly, I had the benefit of knowing what likely was happening behind the scenes. His problem was rooted is the position of the Ctrl key just below the Shift key on PC keyboards. It’s very easy to hit Ctrl instead of Shift when you intend to capitalize a letter, like that “A” in Airport. The result of the Ctrl+A keyboard combination on the Mac would be to move the typing cursor to the beginning of the line. 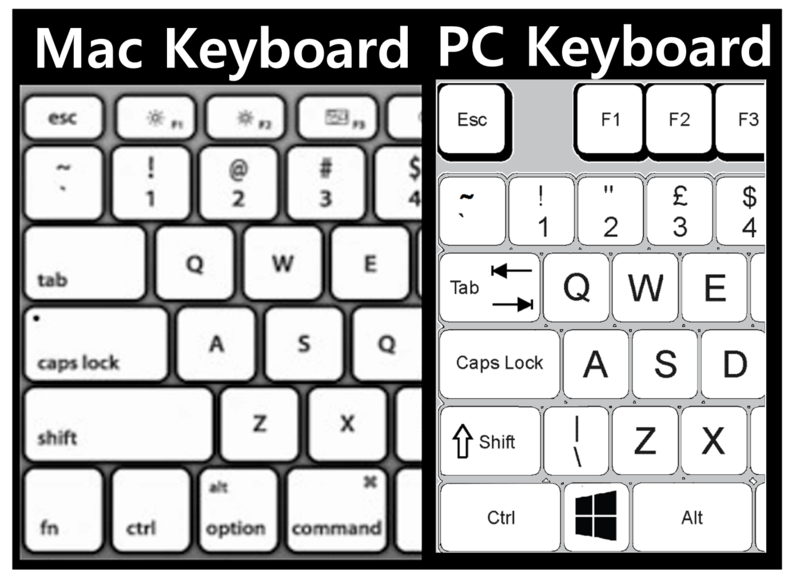 Ctrl key combinations on the Mac center around moving the cursor; the same the convention used by UNIX, the operating system on which the Mac operating system, OSX, was based. While moving the cursor suddenly can provide some confusion if unintended, the result of Ctrl+A on Windows PC’s is a bit more dramatic. The key combination generates a “Select-All” option. For most Windows applications including Microsoft Word, this selects all text and other objects (pictures, charts, shapes). It’s a great alternative to dragging your mouse down a page or multiple pages to highlight everything. All selected items disappear, replaced by by “I” or “irport,” depending on how long you type before looking up and notice everything else is gone. How far back you can “undo” actions depends entirely on the program and memory it has allocated for undo operations. Fortunately Word has multiple undo levels. Unless you save the file (removing the undo levels), rolling back is pretty straight-forward. Word also has undo and redo options on which you can click in the document’s title bar. Mac’s have an Undo key as well, Command+Z. You will find many of the Windows Ctrl key combinations become Command key combinations on on the Mac. Fortunately, The Mac Ctrl key is farther away from the Shift key than the PC Ctrl key so our problem is less likely to occur. All is well. Time to reflect and…Excuse me, I should be probably take this call. The following was originally posted on the Shoreline Area News, March 7, 2014 as part of the Tech Talk series. Email used to be simple. Connect, access your email and disconnect. 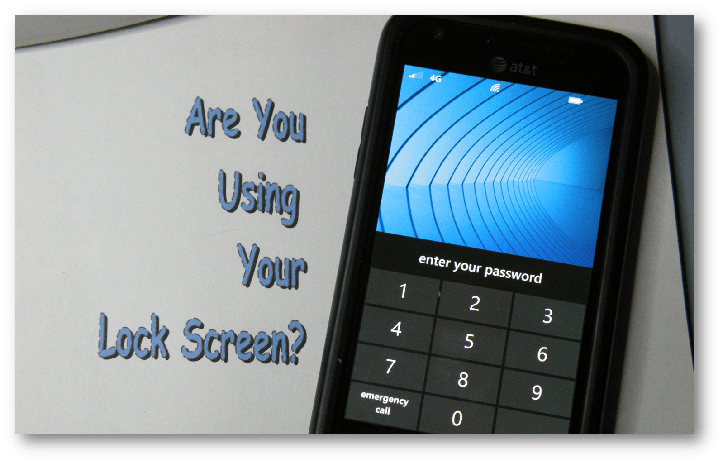 However as more of my clients access email between their PC, and newly purchased smartphones and tablets, they are discovering that the email access methods that worked well for their single PC or Mac are no longer adequate. What do we need to do to adjust? Let’s start with a little history of email access. 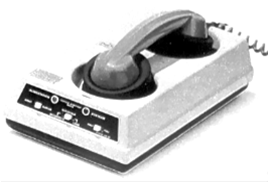 For many users in the 80’s and early 90’s, “connect time” meant either inconveniently tying up a phone line or expensive per-minute charges. So, Email servers used a “store and forward approach” to make connection time more efficient. You would load an email application to retrieve email and store it locally on your computer. Any replies or new communication would also be stored locally and then passed to the email server then the next dial-up connection was made. The process was pretty efficient with an online connection lasting only the period of time necessary to retrieve new messages from the server and send your outgoing messages. This process is not unlike how “snail mail” is delivered from or sent to your local post office. 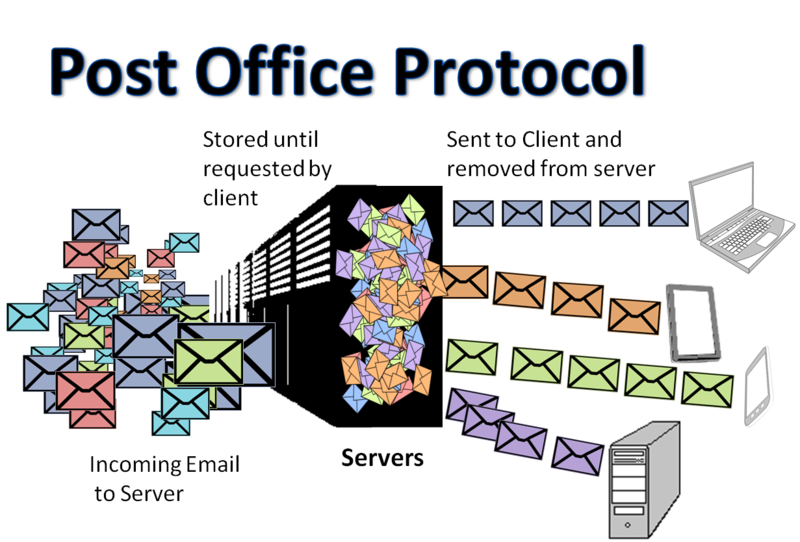 Given that, it’s not surprising that this method become known as the Post Office Protocol (POP). Technically, POP only handles received email. 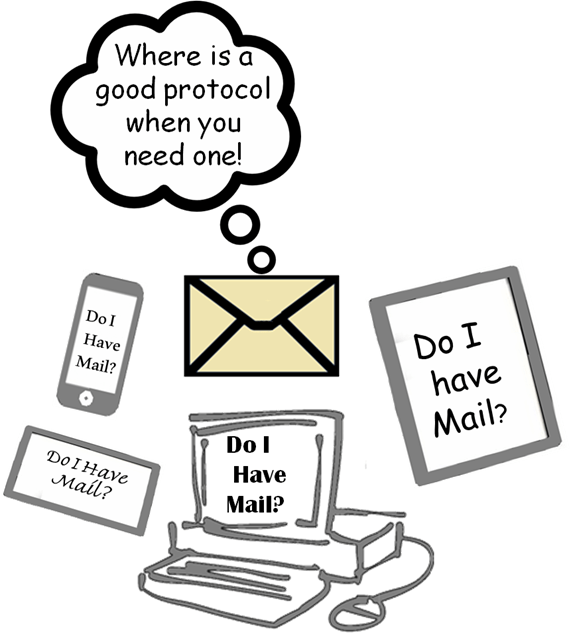 To send email, we use another protocol, SMTP (Simple Mail Transfer Protocol), a topic for another time. The latest version, POP3, is a very simple retrieval method that downloads your mail, deleting it from the server. Virtually all Internet Service Providers (ISPs) and major email services like Google’s Gmail and Microsoft’s Hotmail/Outlook.com support POP email access. The downside of POP today is that it is designed for a single computer to collect your email. A Harris/Teamview study in 2011 found that 63% of people surveyed “use at least two computing devices” a week. The chance of losing mail between two computing devices is irritatingly high. While POP lets you leave a copy of email messages on the server for another device to collect, that lays the burden on you to manage a lot of duplicate mail. “Webmail” eliminated local storage of email and allowed multiple computers to access messages through their web browsers. Hotmail’s and Gmail’s email web sites became a major draw for users, competing for awhile on how much web storage of email they offered. Today, Outlook.com offers 5 gigabytes (GB) of storage initially but provides for unlimited expansion. Gmail combines email storage with Google+ Photo on the 15 GB offered free through their Google Drive cloud service. The popularity of webmail as a service has lead ISPs to offer it for their own email accounts. Unfortunately, using webmail requires you to stay online all the time, something not be possible on wireless-only tablets between Wi-Fi hotspots. Smartphones can still stay connected through cellular data plans, it can be an expensive proposition for plans with limits on data usage,. Also, webmail sites are challenged by the need to accommodate a wide range of screen sizes…and users are often challenged by the results! Today’s email access needs the flexibility of being offline periodically and still be able view email, while creating new mail that can sent while online or held for the next online opportunity. It also needs to accommodate different screen sizes and be able to synchronize changes with the email server that other devices can see emails previously read/written. The most common solution is to reach back into the past and use IMAP. 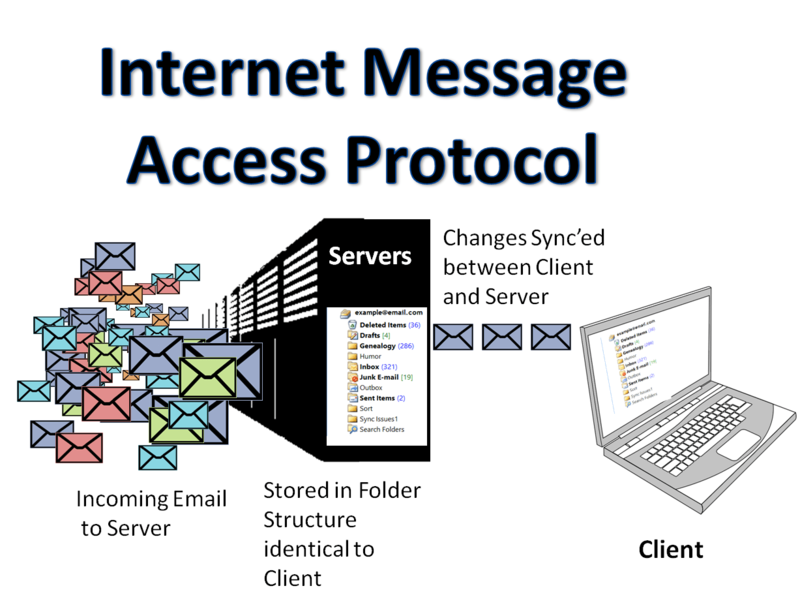 IMAP – Internet Message Access Protocol has been around nearly as long as POP but uses a model that duplicates the email found on the server and then synchronizes any additions or changes made. Since IMAP or its latest version, IMAP4, is just a protocol, you need a IMAP-aware email program installed to handle your local mail management. Fortunately, there are many free or low-cost programs to handle this task on virtually any desktop or mobile device. While IMAP is well-supported by email service like Outlook.com, Yahoo, and Gmail, it is less common among Internet service providers. Earthlink and Frontier don’t provide support. Through Comcast doesn’t promote it, they do have a sign-up site to convert your account to IMAP. Microsoft Exchange and Outlook.com email users have another email alternative, EAS. Exchange Account Service is the protocol originally designed for mobile devices but is now also being used in desktop. EAS allows these users to not only synchronize email but also calendar and contact information. 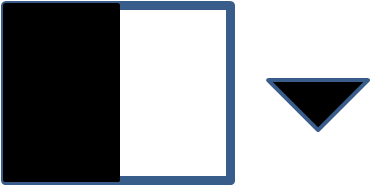 Users of Office Outlook may not know the name of the protocol but they may be familiar with the “Outlook Connector. 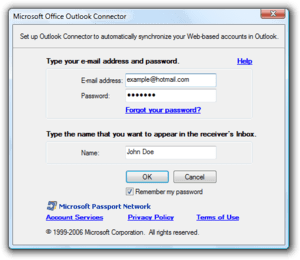 ” The Connector uses EAS to connect with the Microsoft email addresses like @hotmail.com. Google used to also directly support their Gmail, Calendar, and Contacts through their EAS-based Google Sync service. That changed last year when they restricted usage to Google Apps for Business, Government, and Education customers. Windows 8 and 8.1 shipped with the Mail, Calendar and People apps that make use of EAS to connect Microsoft domain users. If you have an outlook.com, msn.com, hotmail.com or live.com user account, it is automatically used as a Microsoft Account in Windows, connecting you not only to mail, contacts, and calendar items but backup your account settings, and other information. What you choose to use with your PCs, Macs and mobile devices can be pretty individual, especially for the major email services. For example, you might use IMAP in the Mac’s Mail program to access Google Gmail. For your iPad, you can choose either the built-in Mail program or the official Gmail app in the in App Store. The mix ultimately depends on your email provider and the email access they support, the devices you intend to use, and the email applications you prefer to use.The nice thing is that once you make set up these choices, email across your computing devices can work remarkably well…and accessing your electronic can become “simple” again. 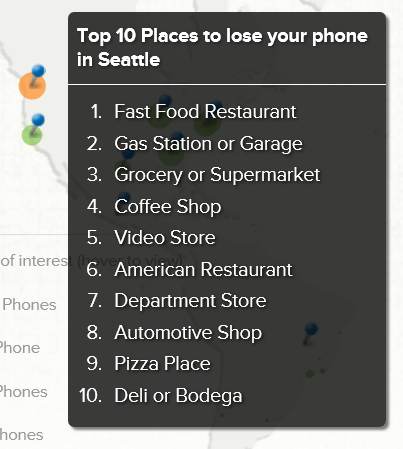 The following was originally posted on the Shoreline Area News, March 1, 2014 as part of the Tech Talk series. A couple of weeks ago, I started talking about how to make text and objects on your screens more visible and usable. It’s a step in my personal campaign to have technology work to our benefit instead of us having to accommodate small screens, tiny pointers, and hard-to-read text. The basic changes we covered help in many cases, but not all situations. While application developers are encouraged to accommodate changes in font size and other options in their programs, it has taken many years for this approach to become standard practice. iTunes, for example, is notable for not following the font sizes you chose in Windows or on the Mac. While going its own way gives iTunes a unique look, it can also challenge those trying to see its song lists and sidebar. Those items shown in their default size can be challenging on a high-resolution screen. When in Doubt, Just Magnify Everything! If that adjustment isn’t enough in iTunes or the application you are using doesn’t provide any font size adjustment, there is a still a “fall-back” option. You can use the magnification feature in the operating system to magnify the display. For Apple Mac this is called “Zoom” that can be turned on in Accessibility settings In System Preferences. Microsoft chose to make its “Magnifier” a separate program in Windows that can be launched through an icon or keyboard shortcut. Both increase and decrease the screen magnification by using keyboard combinations. 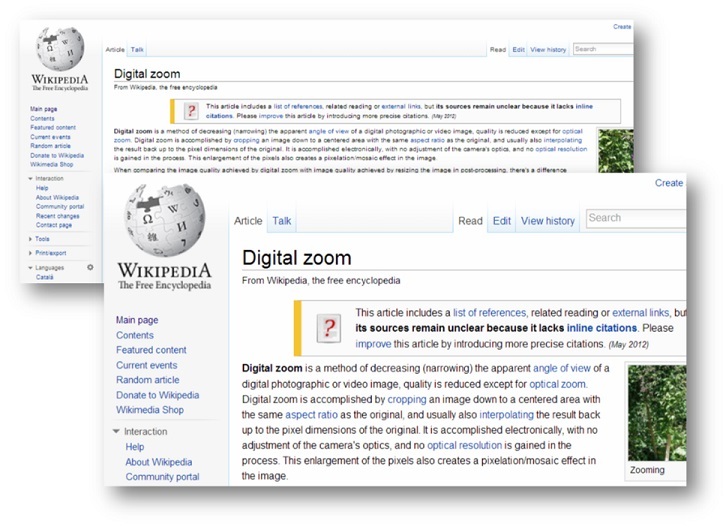 Apple’s tablets and smartphones also have Zoom capability as well as their competitors, Android, and Windows Phone. 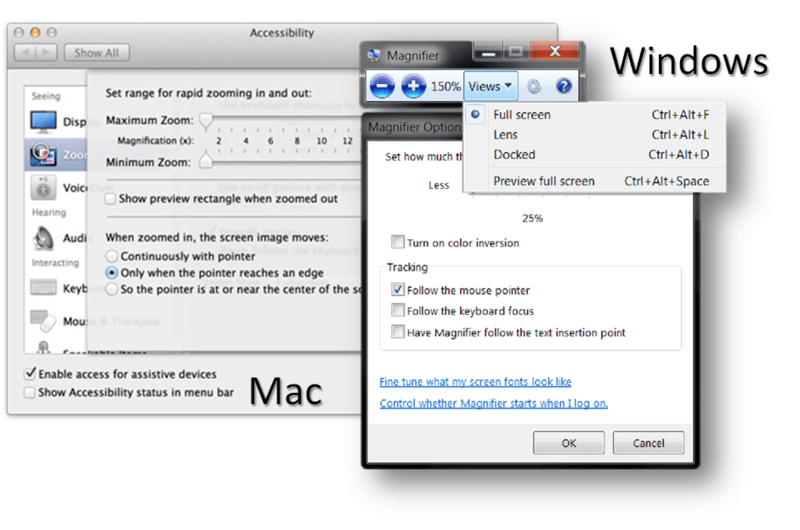 With the exception of Windows Magnifier, these magnification tools first need to be switched on in their respective Accessibility or “Ease of Access” settings before zooming controls will work. While complete screen magnification can relieve most screen “squinting,” it isn’t always the best viewing experience. An expanded view means that you have to move around to see everything, especially on busy web pages to find information or click links. Fortunately, most web browsers provide ways to magnify and reflow page text and images. This is a much nicer way to display web pages, especially pages. On the PC side, Microsoft’s Internet Explorer, Google’s Chrome, and Mozilla’s Firefox web browsers all use Ctrl+Plus (∪) and Ctrl+Minus (‒) to expand or contract text on a web page. If you prefer to use the mouse’s wheel, you can perform the same actions while holding down the Ctrl key and moving the wheel back and forth. Touch systems with IE and Chrome can also use two fingers stretching apart to expand or pinching together to contract. For Safari on the Mac, it’s a similar keyboard combination for expanding/contracting, Cmd+Plus and Cmd+Minus. In the more touch-oriented iPhone/iPhone works, the stretch/pinch technique works fine in Safari. Fortunately, browsers on most other mobile devices running on Android and Windows Phone also use stretching and pinching to enlarge or reduce text size on web pages. It’s nice to see this level of conformity across web browsers. Now we just have to get other application makers to follow suit. Do you have applications with hard-to-read text or images? If the techniques I laid out in my last article on this topic don’t improve the situation, check the application’s preferences or display options for ways to control the size of these items. Failing that, you can try these tips to improve your experience and reduce the discomfort of accommodating your technology.